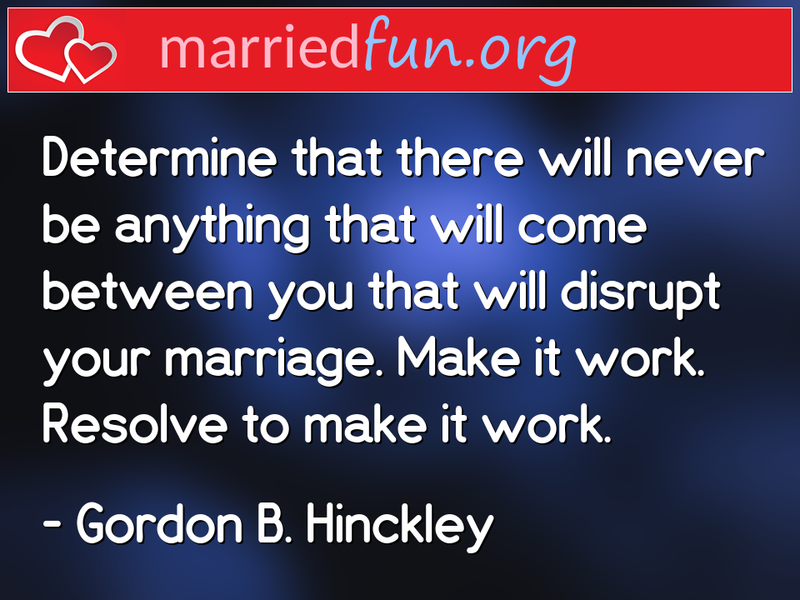 Marriage Quote - Determine that there will never be anything that will come ... - Married Fun! Determine that there will never be anything that will come between you that will disrupt your marriage. Make it work. Resolve to make it work.